Trying to squeeze in a trip to the French Riviera in just 3 days wasn’t what I had in mind at all. I took it as a “preview” trip (if there’s such a phrase) this time round before we take a much longer one in the future hopefully wiser and better planned upfront. 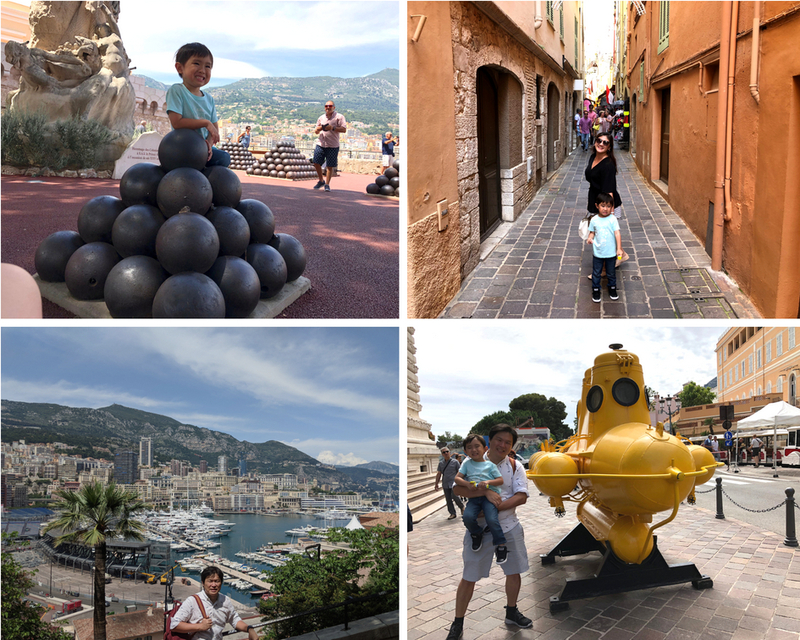 We did what most sites on the Internet recommended us to do, and use Nice as the base, where we will then cover nearby towns as day trips namely Monaco and Cannes. To start with, the Riviera is apparently best enjoyed with a car given the amazing coastline scenery, but we didn’t do that this time. 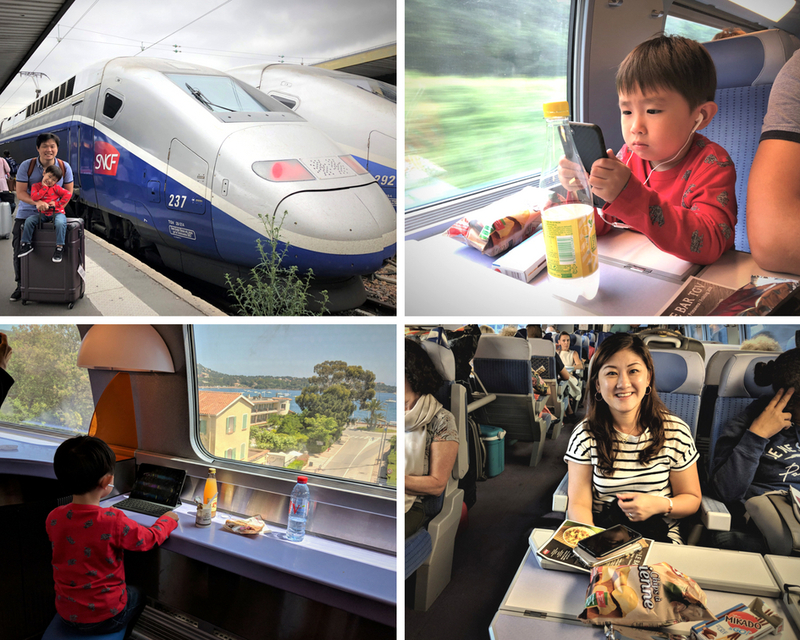 With the time we had, we chose the “least hassle” method, by taking the famous TGV from Paris to Nice. TGV is arguably an attraction to tick off by itself. It was certainly a comfortable ride for us! It wasn’t exactly a short ride.. at about 5.5 hours.. but it did bring back the same feeling as when I first jumped on to the Japanese Shinkansen bullet trains way back. Whizzing along at 295km/h almost felt slow, perhaps because it was such a smooth ride. It’s certainly more comfortable than our ride on the Airbus A380 coming to France! There was even a dedicated dining / restaurant cabin where I visited quite a few times to order our meals and snacks. 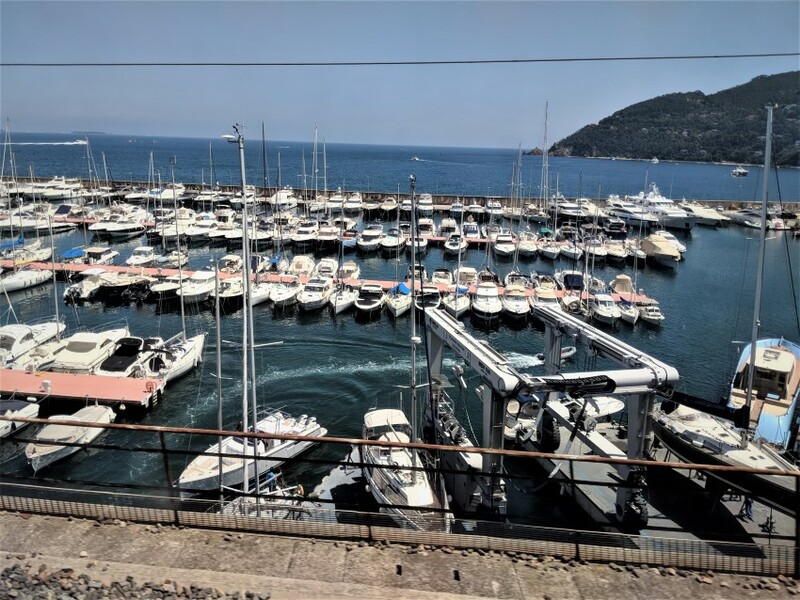 Nice thing about taking the TGV to Nice is that we eventually get to see a bit of the coast line, and a preview of what we will see over the next few days.. i.e. lots and LOTS of yachts! For our stay at Nice, I booked an AirBnB apartment, and I couldn’t be happier with the host (Grace) and the apartment itself. 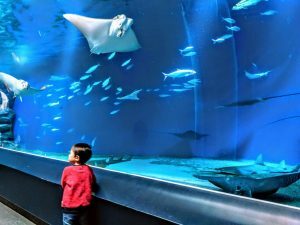 It was discretely located on Rue De Paradis, which is smack bang right in the center of town where all the shopping/restaurants/park etc etc is. Some would call the area ‘touristy’, which is fine by me, as we were looking for convenience and a comfortable apartment more than anything else. It was fantastic for the shopaholic in the house, as there were Chanel, Louis Vuitton and Hermes literally just outside the entrance door of our place! 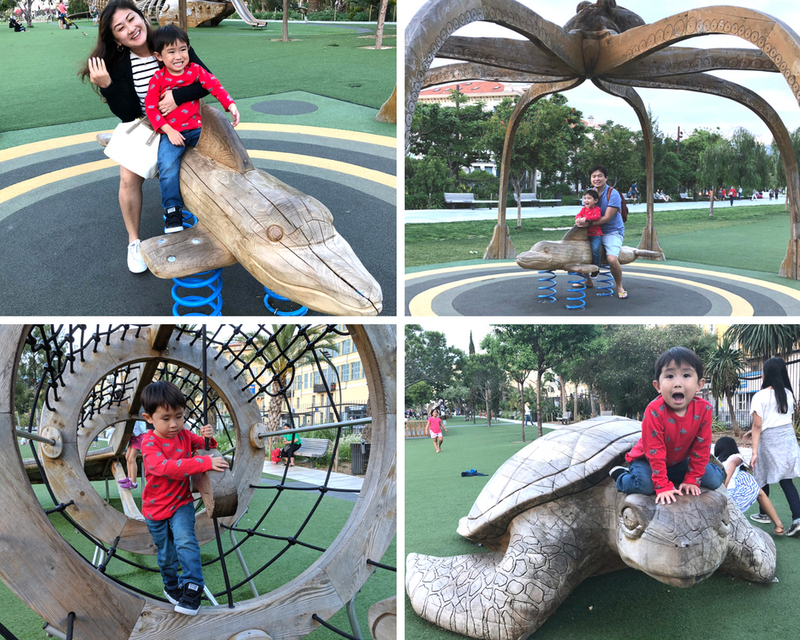 For Ethan though, it didn’t take too long for us to discover this awesome park (Promenade du Paillon) within a couple of minutes walk from our place.. where he seemed to enjoy every one of the ride on offer.. especially the large whale. 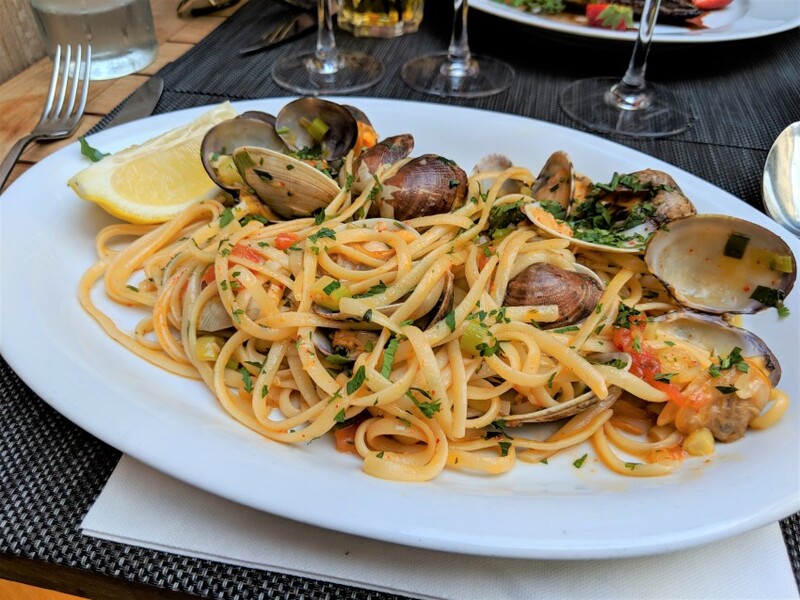 Apart from that, most of the restaurants advertised “Specialties Nicois” (local Nice specialties) like beef stew raviolli, mussell pasta, plenty of pizzas. Frankly, we felt like we were having Italian more than French food! It turned out that Nice cuisines are closer to Italian than French! That’s probably the biggest surprise to me. We did stroll around old town a bit, though the most scenic part was arguably the esplanade and the Castle Hill. After a pretty decent breakfast at La Femme du Boulanger, we pretty much walked all day on foot! 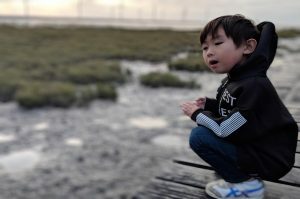 The highlight for Ethan would have the little playground we discovered at the top of Castle Hill, and perhaps rock throwing by the beach! We didn’t cheat either by taking buses around town. We just walked around the hilly setting (and survived). Being Sunday, it didn’t take us long to realise that retail shops weren’t open at all. The streets were surprisingly quiet, and the restaurants (the few that were open) weren’t even crowded! This rather ‘quiet’ scene had to be VERY different just a Sunday ago, where Daniel Riccardo just won the much deserved Formula 1 Grand Prix right here!! The track-side barriers and seatings haven’t even all been disassembled yet! The town just looked like everyone is still in bed on a Sunday! 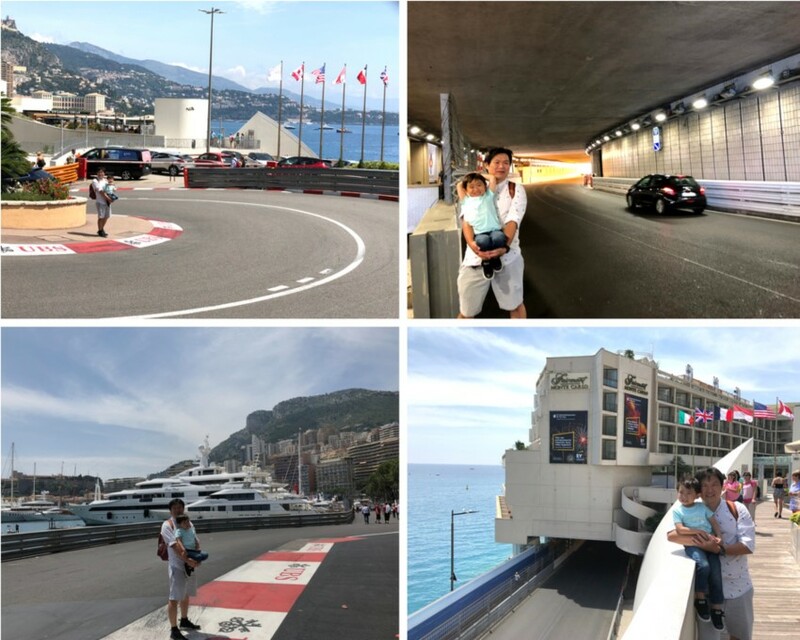 For the record, these were the corners I took pictures of above (clockwise).. hairpin corner, tunnel, swimming pool chicane (Piscine), entrance to the tunnel. 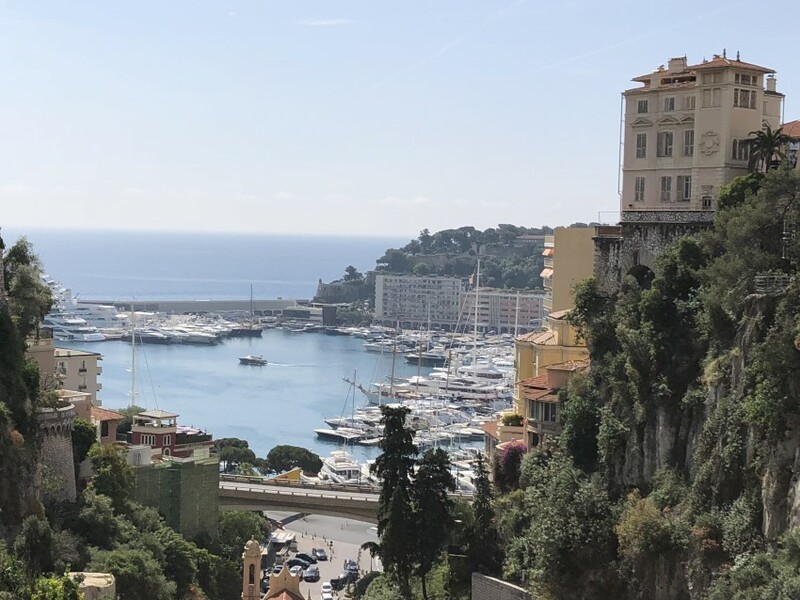 We took a brief lunch break at MacDonalds (near the entrance to the tunnel), admired the water views a bit (and the expensive yachts).. and eventually made it to the palace itself at the top of the hill all on foot. The climb was the hardest part. but once we were up there, the view was worth it. We can definitely tracked the path we walked around the Monaco racing track from up there. For Ethan, he probably found the pile of cannon balls more interesting though. 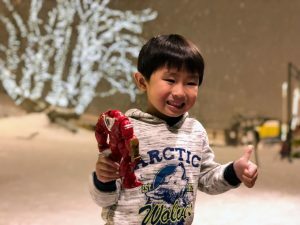 There was an alley way where there were a few souvenir shops, where we managed to donate some money to buy Ethan a Red Bull Racing shirt. But aside from that, we didn’t really spend that much time up there at all. 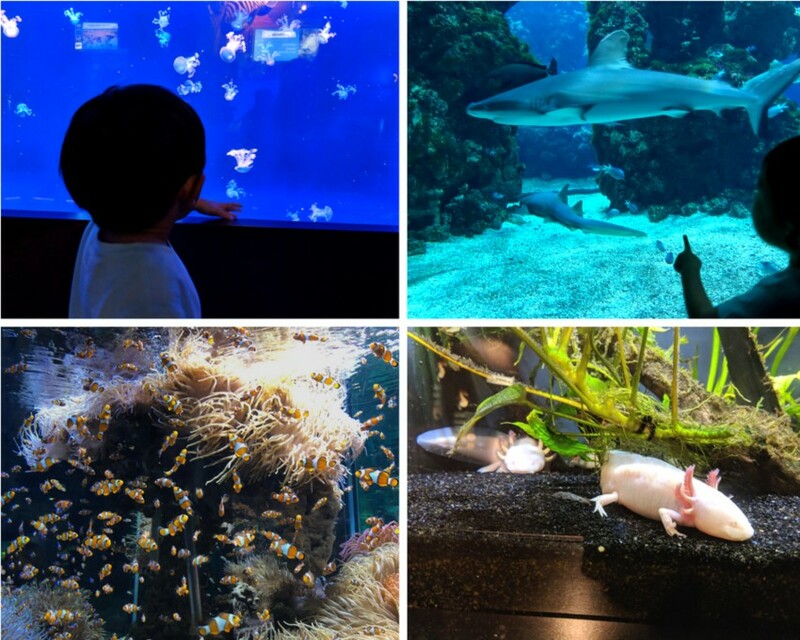 Where we did spend the MOST time was actually the Museum of Oceanagraphy (basically an aquarium).. where he absolutely loved. 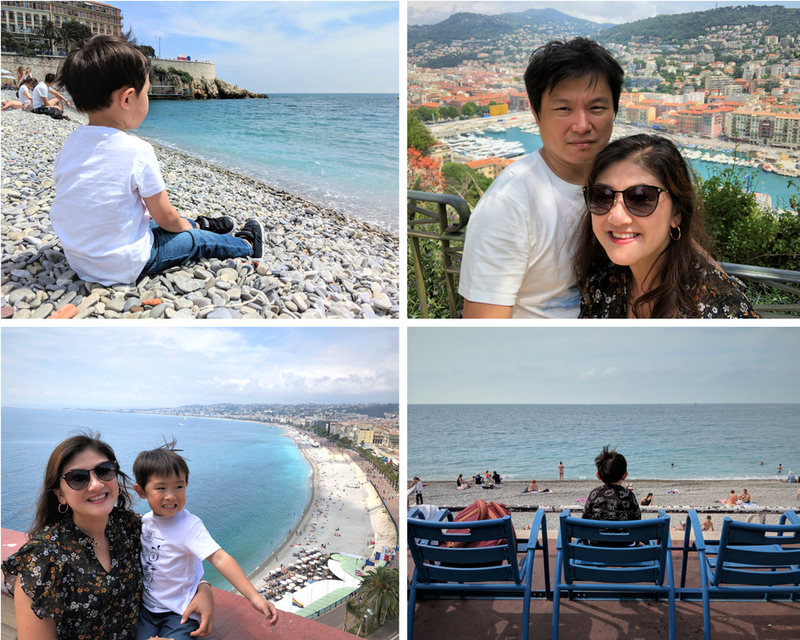 For the first time all day, he actually looked “alive”..
We were pretty much done with Monaco by the afternoon, and headed back to Nice with Ethan napping most of train ride back. Before you know it, we were on the last day of our Riviera stint. 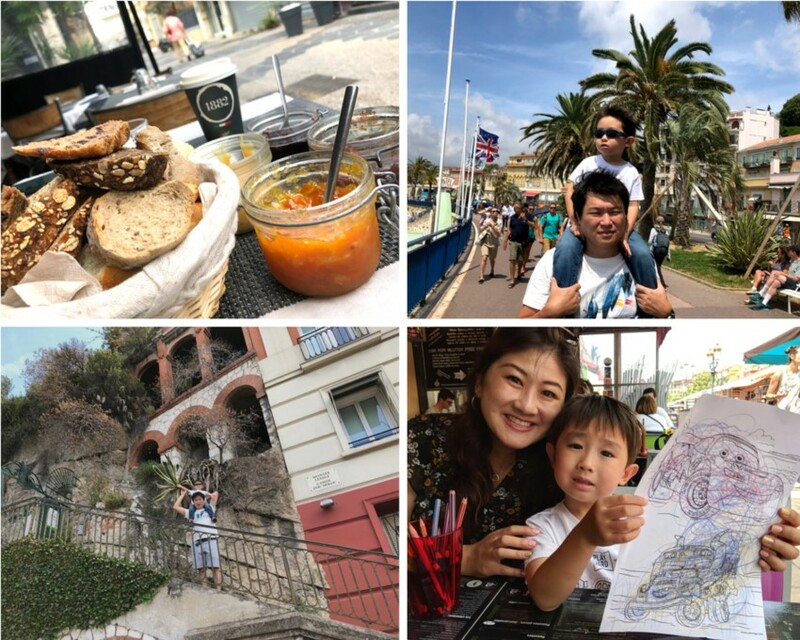 We managed to cover a bit of Cannes too before heading back to Paris for the final few days of our holiday. Now, everyone must have heard of the famous “Cannes Film Festival”. Again, like the Formula 1 event, we were late to the party, and just missed it by a few days. You would think you get to see movie stars everywhere. 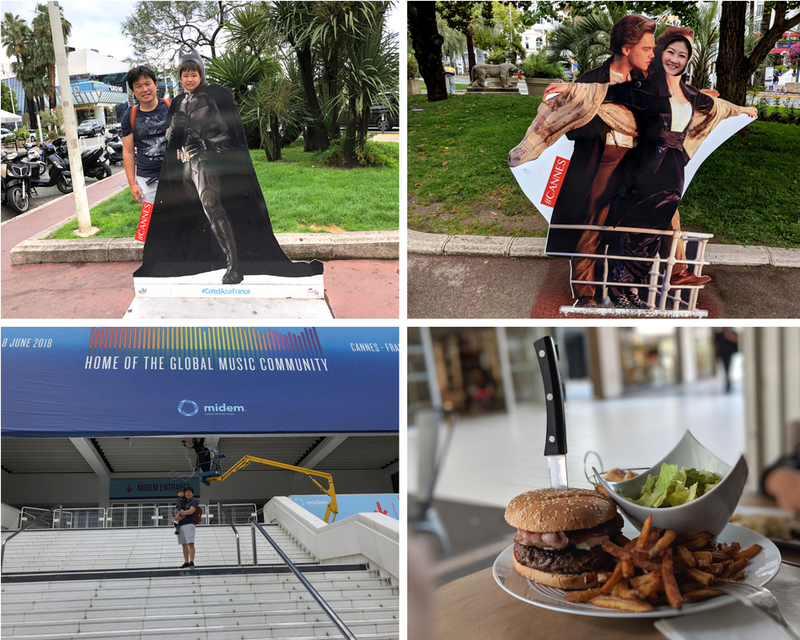 All we get to do is take a few pictures with cheesy actor cardboards, and checked out the entrance to Palais des Festivals where the movie stars would have walked up the red carpet just weeks ago! Like Monaco, the town looked pretty lifeless to me! The local tourist office showed us a bunch of attractions nearby like Picasso Museum, which was unfortunately closed and all were a fair way outside of town itself. We didn’t end up doing much at all. I’m not too sure if Cannes itself had that much to offer at all! I found the burger I had for lunch (At Factory Cafe) more interesting! We pretty much spent the day strolling around aimlessly until our train was due to head back to Paris. 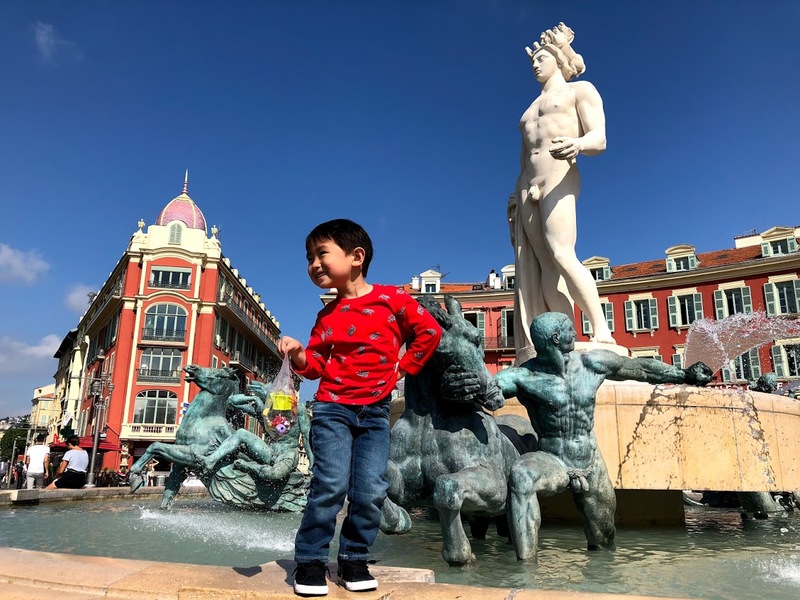 Nevertheless, it was a nice little trip down southern France and it did gave me the sense that the Riviera is meant to be enjoyed at a much slower pace. We knew there were a lot more that we haven’t covered along the LONG coastline, so hopefully I’ll be back down here some day.. with a car and a lot MORE time!